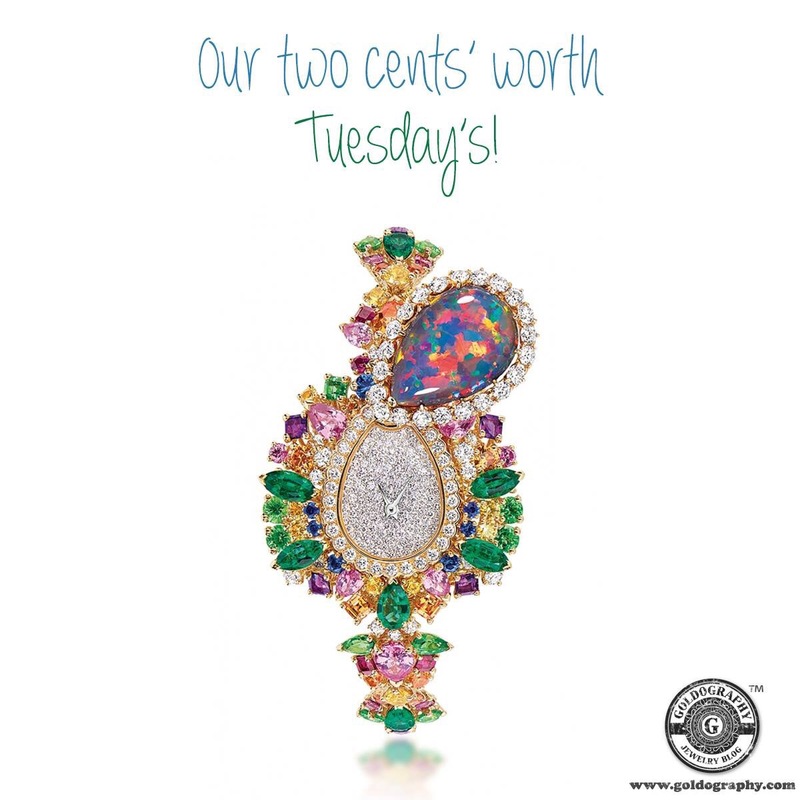 Our two cents’ worth Tuesday pick is this amazing secret watch from Dior made from 18K yellow and white gold with diamonds, black opal, pink and yellow sapphires, spessartite, tsavorite garnets, emeralds, amethysts and rubies. 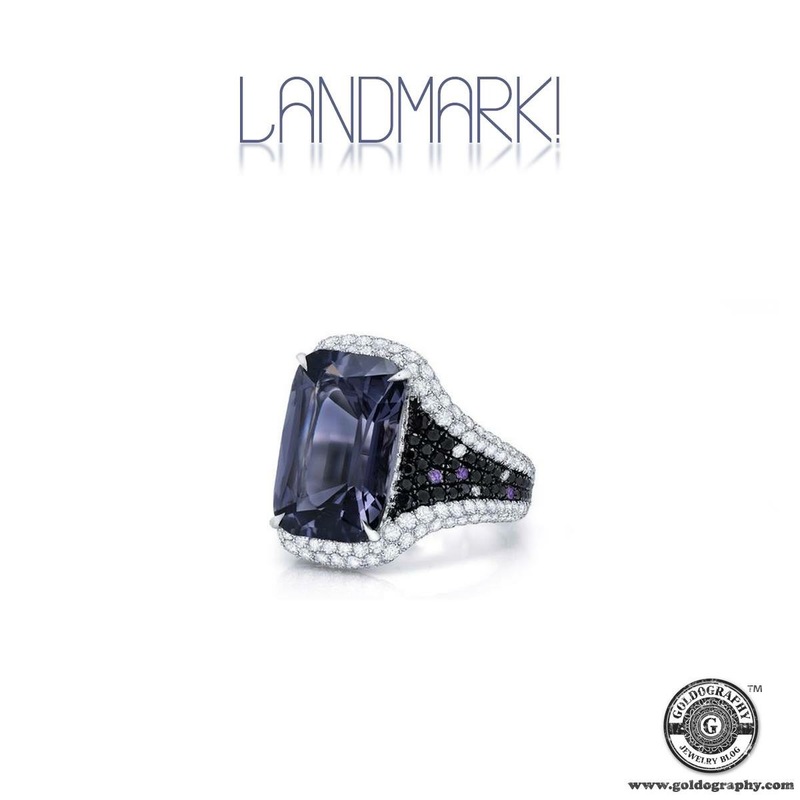 Martin Katz 18K white gold ring with a gorgeous emerald-cut grey spinel, white and black diamonds, amethyst, blue spinels and purple sapphires. 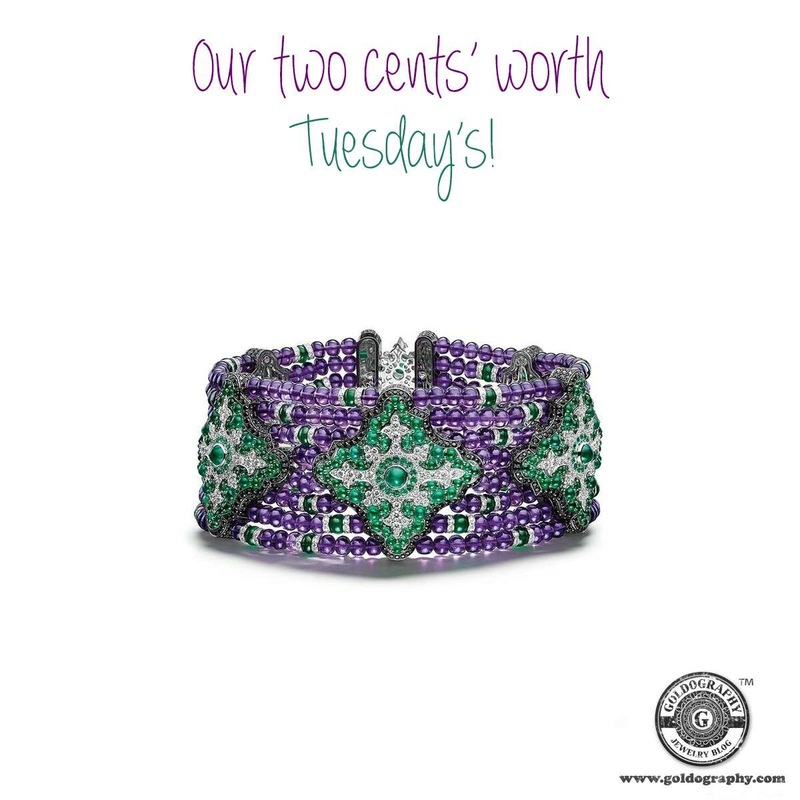 Our two cents’ worth Tuesday pick is this glamorous choker necklace from Giampiero Bodino made from 18K white gold with amethyst beads, cabochon and emerald beads, diamonds and black spinels. Our two cents’ worth Tuesday pick is by Ahmad Kurdi, an amazing 18K yellow gold bracelet with multi shapes and shades of amethyst and aquamarines, prong set in a random order and bordered by rows of pave set diamonds. Chopard titanium butterfly bangle with paraiba tourmalines, spinel, tsavorites, amethysts, rubies, emeralds, and topaz, bringing to life this amazing piece of jewelry. 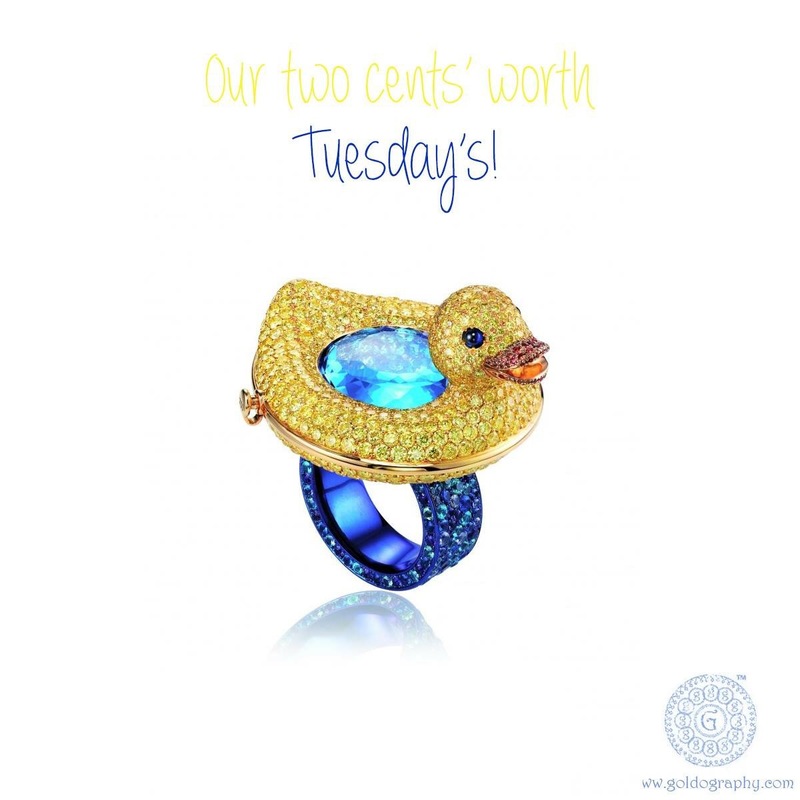 Our two cents’ worth Tuesday pick is this creative 18K yellow gold ring by Chopard, set with yellow diamonds, amethysts, paraiba tourmalines blue and orange sapphires, topazes and lazulites and an amazing blue cabochon sapphire. Fun fact: Lazulites was first described in 1795 for deposits in Styria Austria. Its name comes from the German lazurstein, for blue stone or from Arabic for heaven.